Benchmark indices Sensex and Nifty on Tuesday hit new peaks as reports of “near-normal” monsoon forecast and good corporate earnings optimism buoyed the sentiment. 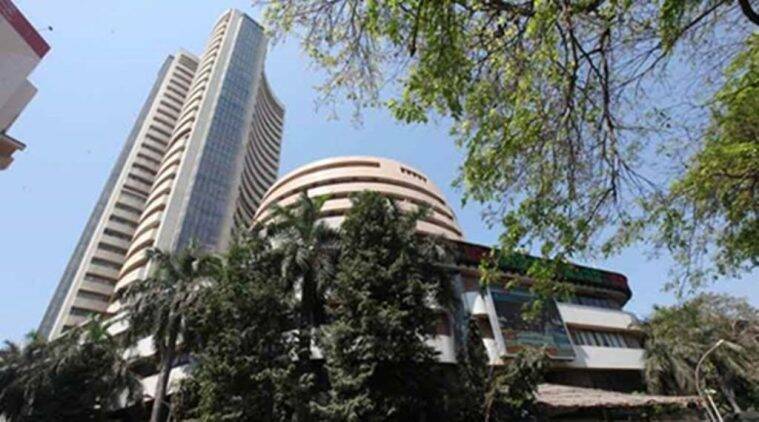 The BSE Sensex started off on a bullish note at 39,040.30 and hit a new intra-day record of 39,364.34. It, however, finally settled at 39,275.64, 370 points or 0.95 per cent higher, marking its life-time closing high. The index has added 690.29 points in the last four sessions. Similarly, the broader NSE Nifty opened higher at 11,736.20 and breached the psychological 11,800-level for the first time. The NSE index settled the day at a new record closing level of 11,787.15, up 96.80 points or 0.83 per cent. “The market rallied to a new high supported by optimism over quarter earnings and positive global market. A better monsoon outlook from IMD provided relief to investors, who are keen on earnings outcome to accumulate quality stocks despite election led volatility,” said Vinod Nair, Head of Research, Geojit Financial Services. The rally was led by financial sector stocks, aided by sustained foreign fund inflows. ICICI Bank rose 3.58 per cent. IndusInd Bank was the top gainer with a 3.96 per cent rise. Other gainers were ONGC, Larsen and Toubro, Maruti, Asian paints and HeroMoto Corp — climbing as much as 2.49 per cent. Sectorally, the BSE bankex rose 1.62 per cent, finance 1.08 per cent, consumer durables 1.16 per cent and telecom 1.03 per cent. In the broader market, BSE largecap, midcap and smallcap indices underperformed the benchmark Sensex. While the Sensex and Nifty rose nearly over 0.8 per cent to close at an all time high of 39,275 and 11,787 respectively on Friday on the back of inflows by foreign portfolio investors and support from Asian and European markets, a rise in global crude oil prices and subsequent weakness in rupee may come as a cause of concern for markets. While Brent crude was trading at around .39 per barrel on Tuesday, the rupee closed weaker by 18 paise at 69.6 against the dollar. “Earnings outcome of Nifty heavyweights (Reliance Industries and HDFC Bank) this week may provide further direction to the markets. On the global front, China GDP data, US-China trade talks as well as corporate earnings will provide cues to the investors. In addition, the rupee-dollar movement and oil prices are the other key factors,” Manglik said. According to Umesh Mehta, Head of Research, Samco Securities, the current rally is expected to become broad based soon, hopefully once the election speed breaker passes. “The primary market is witnessing strong inflows as the sentiment from the market participants is bullish on India,” he said. In Asia, Japan, China and Korea ended on a positive note. In Europe, Germany, France and the UK were trading in the positive terrain in early deals.